2.2.3 The Exponential Function and the Neumann Series. 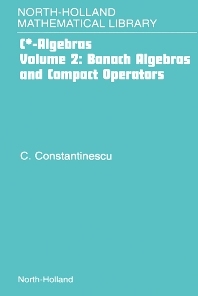 2.2.4 Invertible Elements of Unital Banach Algebras. 2.2.5 The Theorems of Riesz and Gelfand. 2.4.4 Locally Compact Additive Groups. 3.1.5 Spectrum of a Compact Operator. 3.2.1 Boundary Value Problems for Differential Equations. 3.2.3 Linear Partial Differential Equations.